Hezarfen Airport is located in Buyukcekmece on the Edge of the European side of Istanbul, near the town of Arnavutkoy and is Turkey's first private international airport. 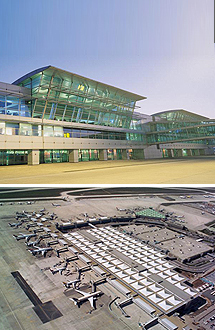 Hezarfen Airport has been in service since 1992. The airport was named after the 17 century Ottoman Galata Tower, Uskudar coast Hezarfen Ahmet Celebi. The airport is used for general aviation and training flights. If you require reliable, comfortable and affordable transport to and from Istanbul Hezarfen Airport you can make a booking in a few easy steps by clicking on “Transfer Planning”. If you wish to make a telephone booking, you may speak to our dedicated and efficient call center staff members on +90 216 688 54 00.